March 2, 2013 March 6, 2013 FullBodyDevelopmentsLeave a Comment on 2013 Full Body Developments Summer Boot Camp… Coming Soon!! 2013 Full Body Developments Summer Boot Camp… Coming Soon!! 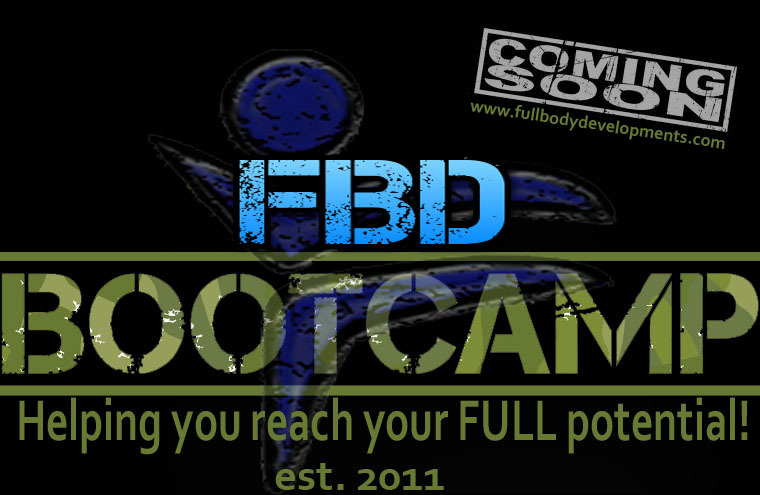 Summer is on its way, which means FBD Boot Camp will be happening soon! We plan on having our boot camp to start May 1 and run until August 21. A 16 week boot camp that will run on Mondays and Wednesdays at 7pm, location TBA. If you have never been a part of our boot camp now is the time. Last year we had ssoo much fun and this year, we plan on having just as much fun, if not more! Day 1 of our boot camp we do something called our ‘FBD Fit Test’. This is just a simple “test” to see where you are at today and then compare that on the last day (August 21) to see where you improved. Last year we had some amazing results with the fit test and its a great way to actually see how much stronger and fitter you got throughout the summer with us! So keep an eye out as we will be announcing more details and the ‘early bird’ registration price soon! Previous Gift Certificates now available!